He looks like an Edwardian club man, doesn’t he? Bit of a military cove perhaps? Or the hero of a Conan Doyle story? Well he was certainly an adventurer, but there was far more to Mortimer Menpes than that. He was born in Port Adelaide, South Australia in 1855 but his family moved to London when he was 20. He studied at the Royal College of Art (then known by various titles such as the School of Art, or the South Kensington School). In London he met Walter Sickert and the two of them became friendly with Whistler. 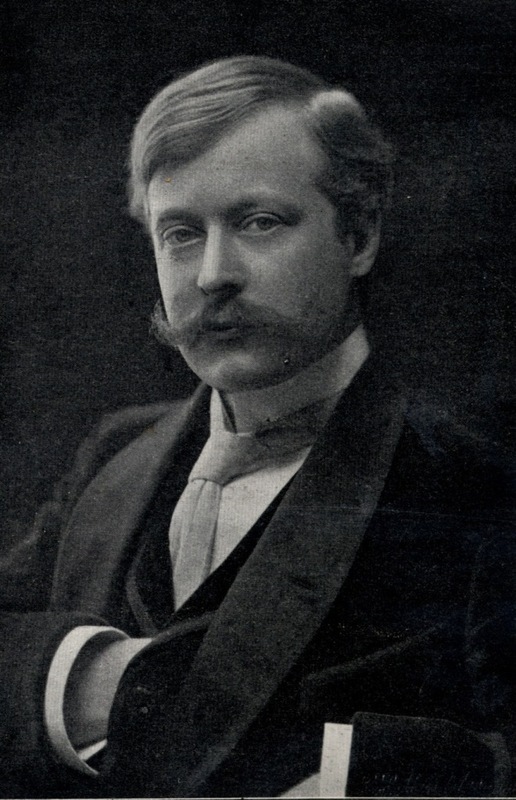 By 1881 they were studio assistants to the great man, but Menpes was the closer, even becoming Whistler’s flatmate in Cheyne Walk. Menpes was devoted to Whistler who encouraged him in his etching work. Whistler was godfather to Menpes’s first child Dorothy Whistler Menpes who was born in 1887. One of the reasons for the falling out was Menpes’ trip to Japan in 1888 (My impression is that Whistler seems to have regarded the whole country and its artistic heritage as reserved for himself). 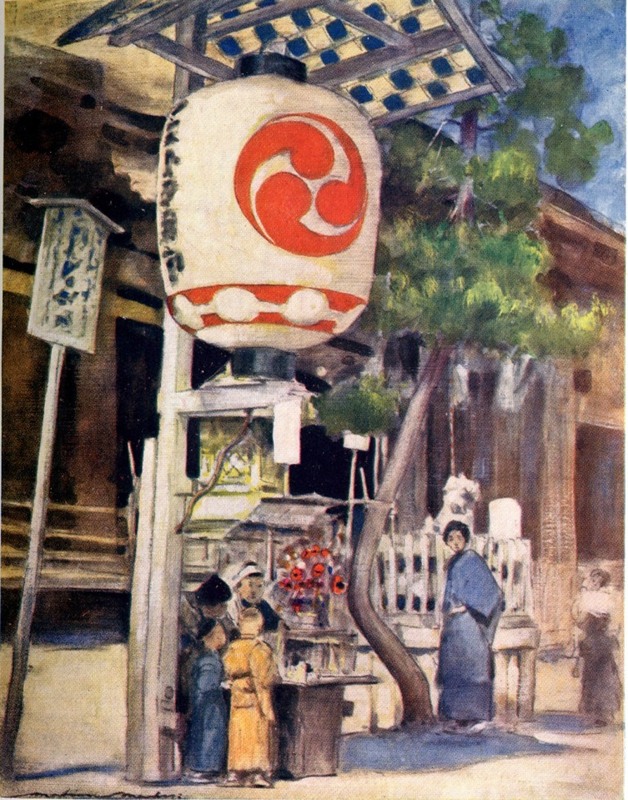 Menpes became a great admirer of Japan, its people and its art. There was an exhibition of pictures devoted to his trip, which seemed to cause further annoyance to the master. Later, he and Dorothy collaborated on a book about his travels. He told her his stories and she transcribed them. It was a method they used several times. 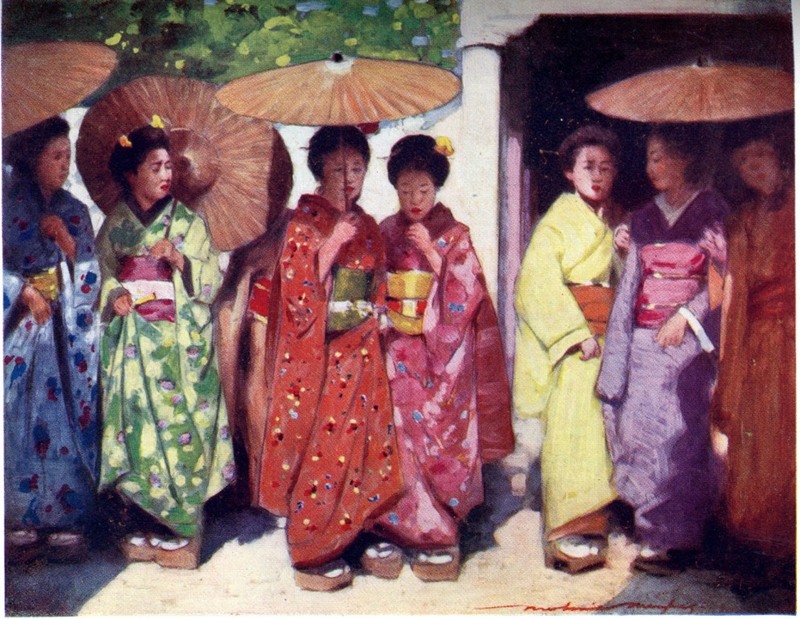 Without wanting to be unkind you can see that although Menpes was never in Whistler’s league as an artist he was an effective illustrator and these pictures are well observed and evoke that old Japan as it was being drawn into the modern world. 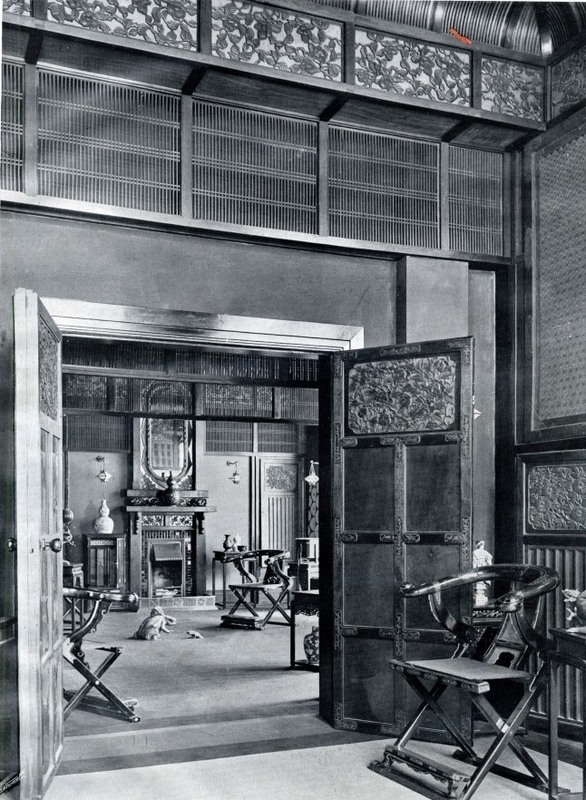 The really big fuss was reserved for the house at 25 Cadogan Gardens which Menpes had designed by the architect Arthur Heygate Mackmurdo, “decorated in the Japanese style”. Photographs of the interior give us some idea of the excitement the house generated. The pictures cannot quite capture the full impact of the interior. An article in The King in 1902 says: “The walls of the drawing room are an indescribable yellow which itself creates an intense physical delight…..the studio adjoining this room is in another shade of yellow almost as rich and pleasing in tone; the outer and inner halls are a beautiful green, the colour of an unripe melon, and the dining room downstairs is scarlet.” We just have to imagine the colours. We can appreciate the impact. 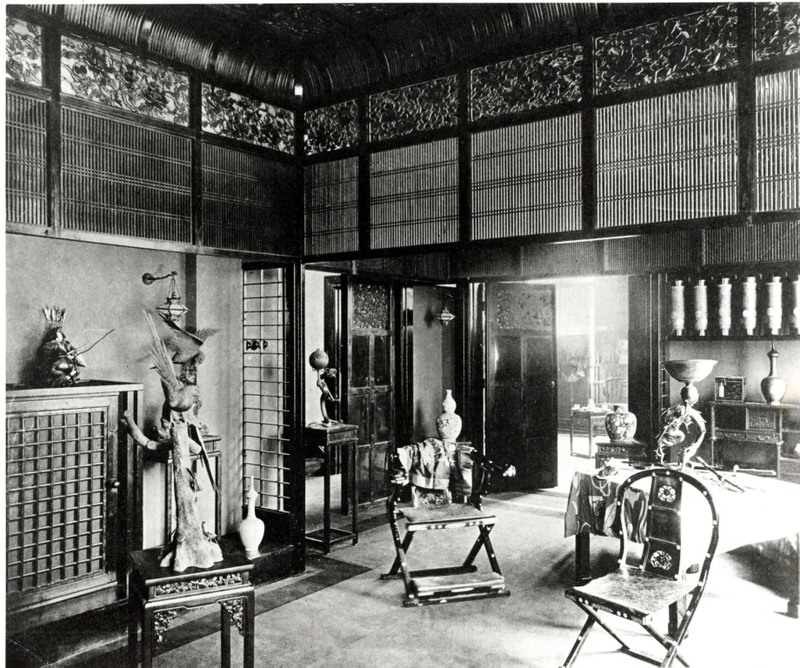 Japanese culture had been a source of inspiration since porcelain had been imported from the East but it was becoming a major influence in fine art and design. It remained as an undercurrent as people learned more about the exotic island culture on the other side of the world. 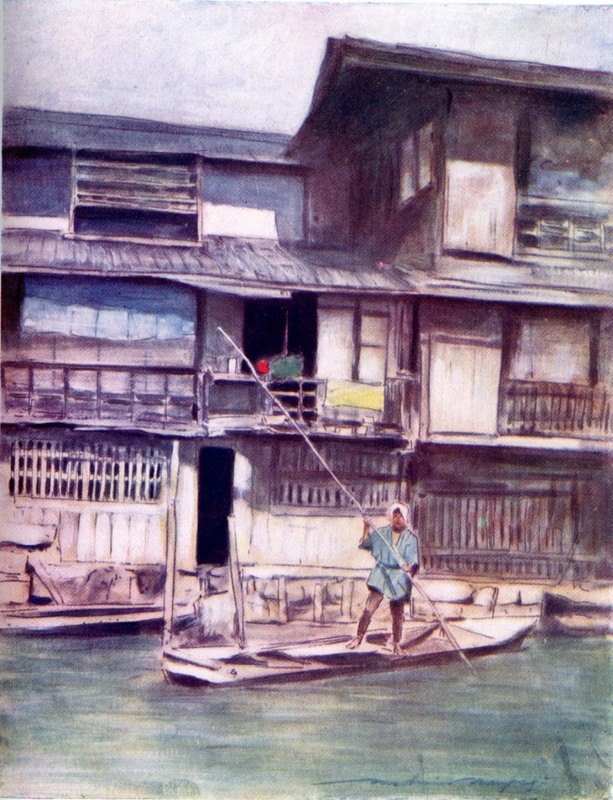 Menpes continued to be a prolific artist and author. He produced a large number of pictures when he went to South Africa as a war artist during the Boer war. Dorothy once again transcribed the anecdotes he told to go with the pictures and turned them into a complete narrative. War Impressions (1903) was one of several collaborations. 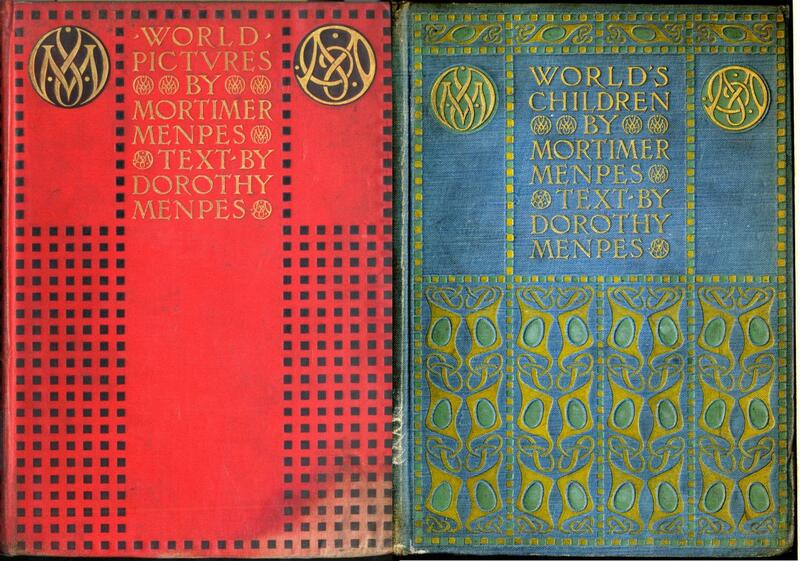 With other collaborators Menpes wrote about India, China, Venice and Paris, many of them published by his own company the Menpes Press. 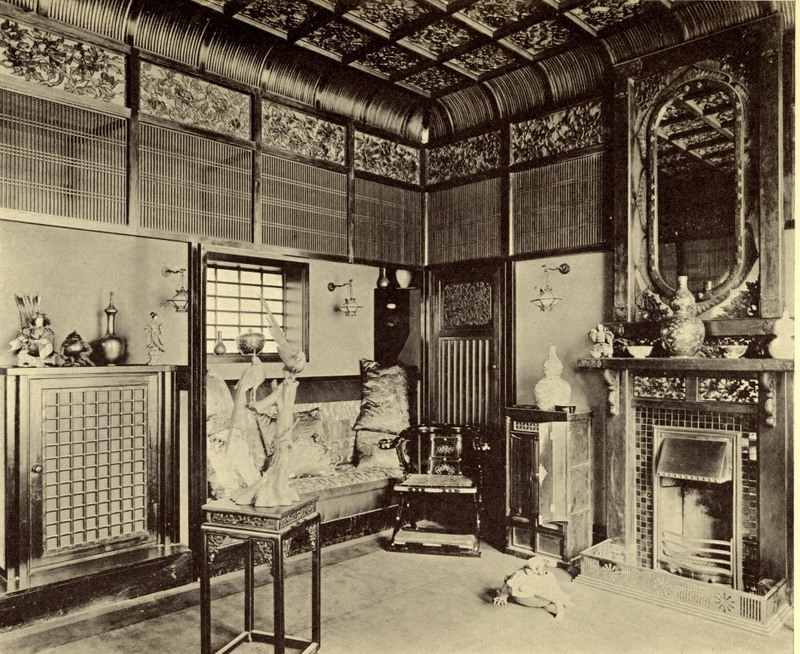 He lived in the Japanese house until 1900 when he moved to Kent. In 1907 he created the Menpes Fruit Farm Company in Pangbourne in Berkshire. He built forty greenhouses for flowers, fruit and vegetables and lived in his house Iris Court until his death in 1938. He was spared the experience of living in a country at war with Japan. I wonder what he would have made of the Japan we know today? 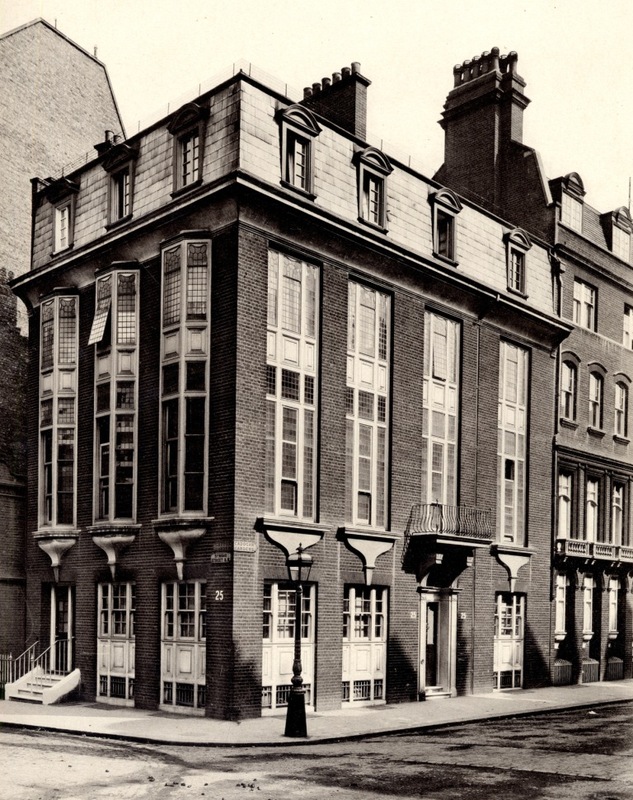 You can still see the exterior of the Japanese house which is now owned by the Peter Jones department store, although the interior is long gone . The fixtures and fittings were auctioned off when the house was sold in 1907. I have a feeling there is going to be more about Mr Menpes on the blog. We could hear a lot more about his travels and his art. So let me know if this has whetted your appetite. Thanks to Alex Buchholz and Peter Collins of Westminster Central Reference Library for loaning me their copy of Japan, and to Susie Hilmi for transporting it. 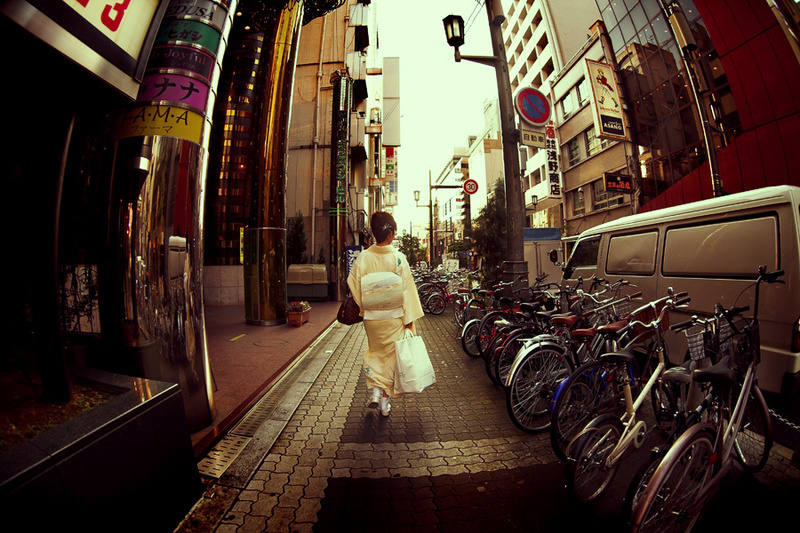 The last photograph is by the fashion/art photographer Akif Hakan from his gallery at Deviant Art. His work is varied and excellent but some of the images on the gallery and on his professional website are, as they say, not safe for work, so I haven’t included a link. 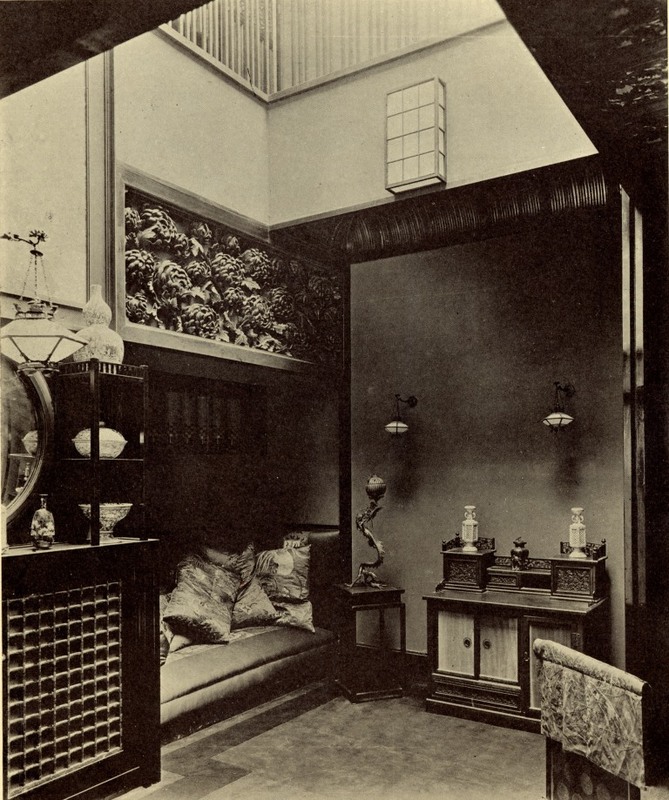 This entry was posted on Thursday, August 22nd, 2013 at 12:33 am	and tagged with Australia, Cadogan Gardens, Chelsea, Dorothy Menpes, Japan, Mortimer Menpes, Whistler and posted in 19th Century, 20th Century, Chelsea, Interiors. You can follow any responses to this entry through the RSS 2.0 feed. Loved the Japanese illustrations. Shame the house interior is no longer there. Very interesting. Yes, please! More on Mr. Menpes and his house. I walk by the house almost every day — so happy to know more about its history. I have just come across this post and really like the look of this wonderful house. Thanks very much for researching it and posting this information and the photos. I am planning on getting a Blue Plaque for my ancester Menpes placed on number 25 Cadogan Gardens. He certainly deserves to have the BP. Can you provide me with caption details for the top photographic portrait of Menpes please? There appears to be a signature on the image but I cannot read it? Yes there are some marks in the bottom right corner but I can’t make them out either.They’re no clearer on the original, which is a small cutting from a magazine or book. The caption under the picture is the quotation from Menpes’s Who’s Who entry I used in the post. The cutting, in one of our scrapbooks is unattributed, as they often are unfortunately. A very interesting post. Halford J. Mackinder MP, the Geographer and Unionist politician seems to have lived there just before the Great War. 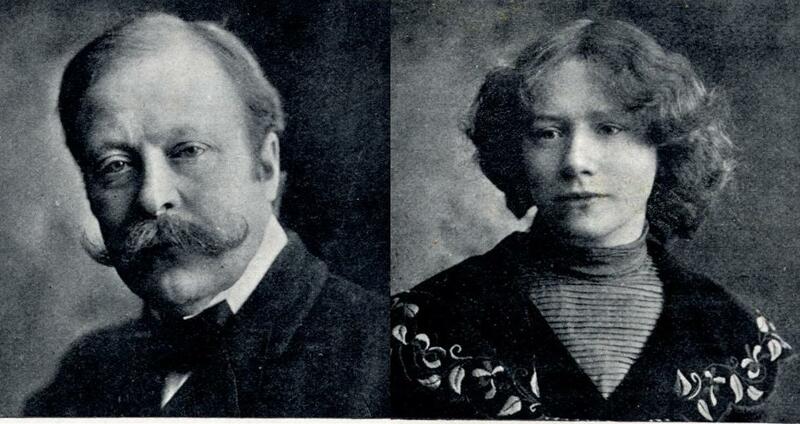 (Who’s Who, 1913, p. 1292).